IT Governance - eDelta Consulting, Inc.
A common concern among our clients is the state of their IT General Controls environment. It is a critical component of a benchmark quality Internal Audit program and is directly tied to a multitude of regulatory and legal requirements. eDelta has developed a proven, repeatable process for conducting an ITGC risk assessment that is customizable to a client’s situation. Whether you need a complete review or a drill down audit in a particular area like security, our team of experts can help. 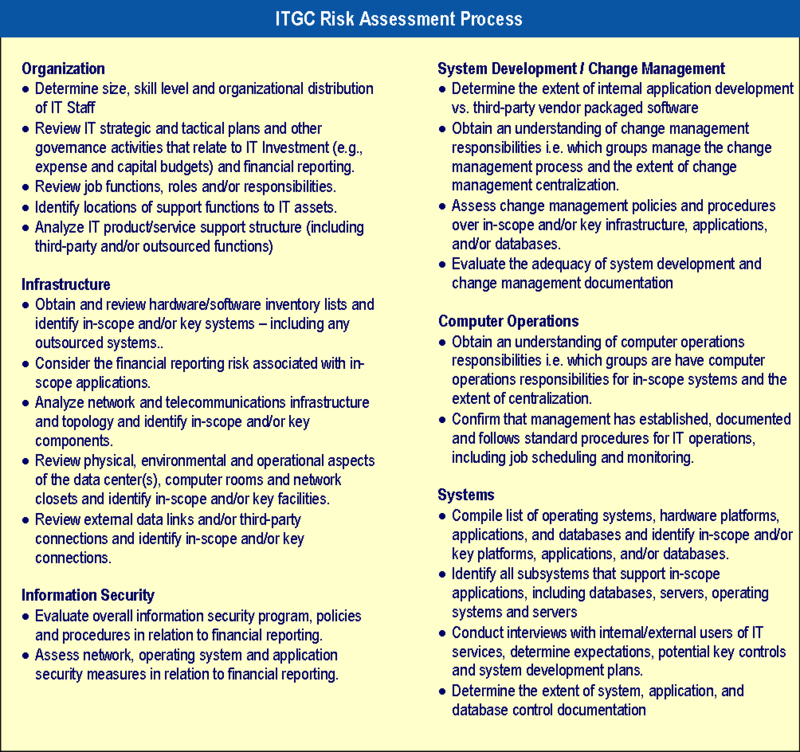 eDelta utilizes a standard approach to performing ITGC risk assessments leveraging experienced consulting professionals, a systematic and mature process and a software toolkit to obtain consistent quality results effectively and efficiently each and every time. Our proprietary approach to risk assessment has placed us in a competitive position to offer quality service to reasonable price.